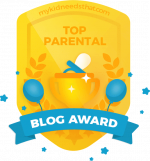 Daddy-Con is focused on bringing fatherhood to the forefront of the parenting conversation. 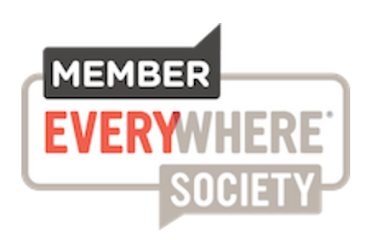 With over a dozen speakers, the event convention will take a playful approach to discussing all aspects of fatherhood. The festivities start on Saturday March 3, and will feature dads talking about a variety of topics, including becoming a stay-at-home parent, baby-wearing, home-birthing, and how dancing with your children can improve your relationship with them. 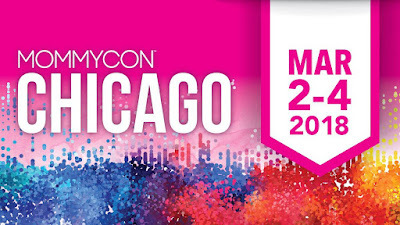 There will also be an exhibit hall, a CityDads Meetup, and the Dad-Games Competition, sponsored by Huggies, in which dads will compete for prizes in stroller-folding, diapering, and the colossal Pack-n-Play Collapse-a-thon. 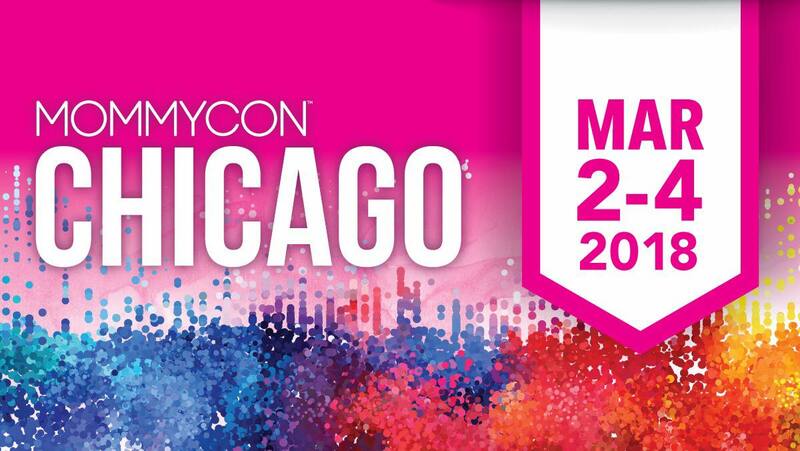 The games will be hosted by natural parenting dynamo Mat York (of ThatDadMat) Other speakers who are friends of mine include Eric Bennion (Diary Dad)and Pat Jacobs (VP of the National At-Home Dads Network) Check out the full schedule below. Daddy-Con is an offshoot (spouse conference?) 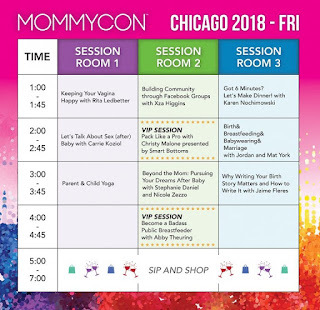 of Mommy-Con, which is a national series of conventions for women journeying through parenthood. 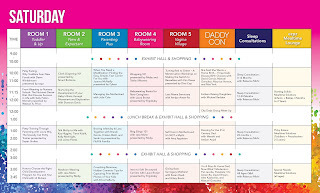 Mommy-Con has been going on for 4 years, and produces about 10 events a year. Their literature says that over 50,000 parents have been through in the last 4 years. 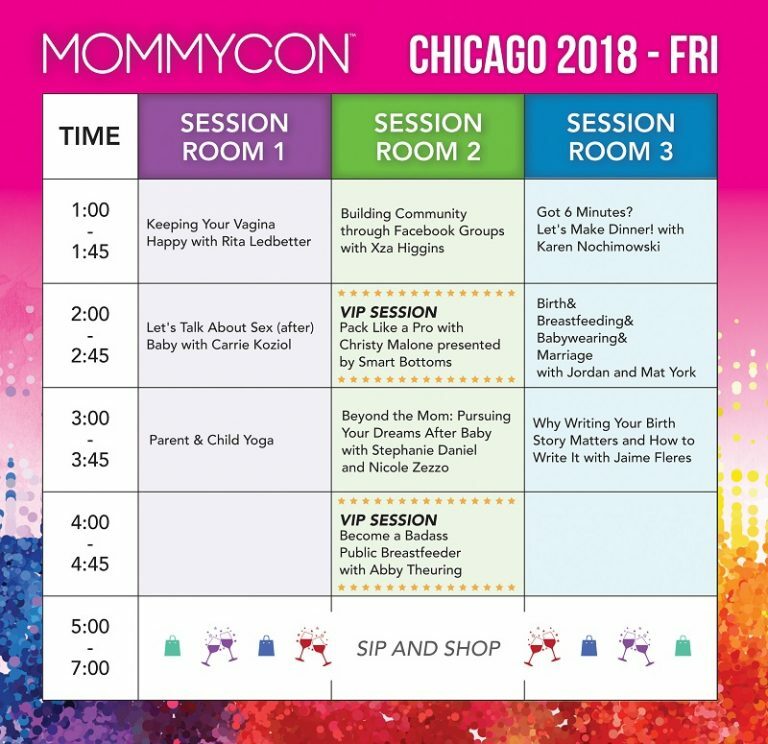 Mommy-Con focuses on natural parenting, takes a gentle and positive approach to educating parents about the emotional and physical benefits of natural birthing, breastfeeding, and babywearing, as well as creating a community of support, acceptance and non-judgement for women (and now men) journeying through parenthood. Click image to see Friday's schedule larger. 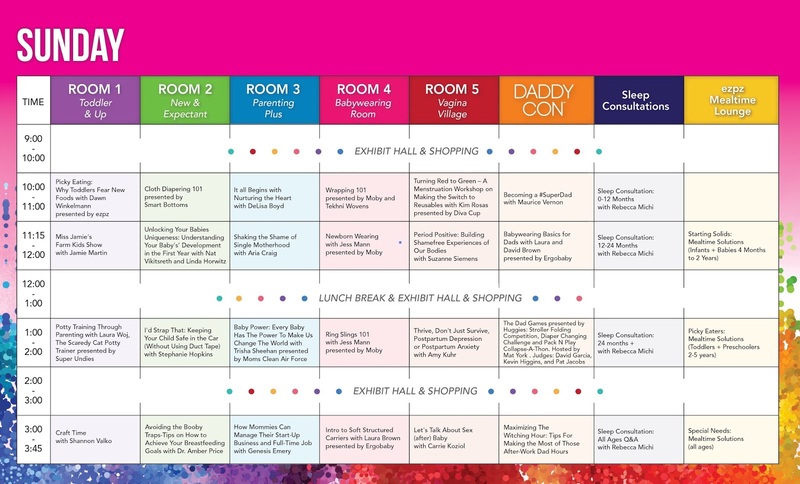 But don't worry, there's still plenty of stuff for dads at mom-con, including a session of sleep consultation time, practical tips on baby-wearing, and a session about managing your startup business while still being a parent. Looking at the schedule, it does seem like the event(s) are geared towards new and expectant parents, but I'm guessing older parents like myself will also be welcomed, and there will be stuff to do and see (and buy) that will be of interest. I for one am looking forward to checking it out this weekend! Use code “howdy10” for 10% off of tickets. Was great to meet you there! Nice rundown and the last session on Saturday about being a SAHD was well worth the entire conference!